ST. GEORGE — One of the suspects deemed “armed and dangerous” by police after stealing a car in Las Vegas, followed by items from vehicles in church parking lots in St. George, has been arrested. 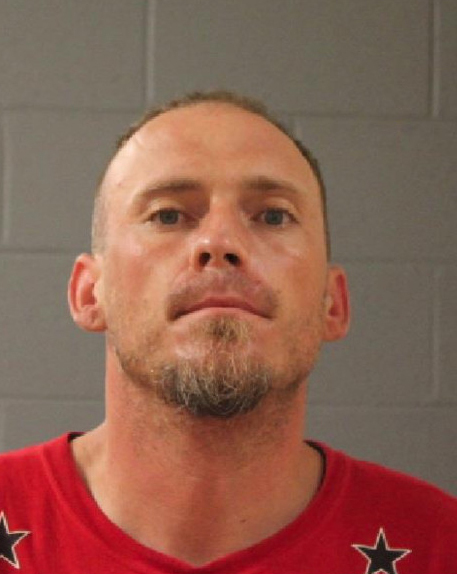 Larry Austin Warner, 35, was arrested Friday night by St. George Police for four warrants and possession of a stolen vehicle. Warner is accused of taking finance cards out of at least two unlocked cars in church parking lots Aug. 19 after stealing a car with a large amount of guns in it from Las Vegas. Warner allegedly used the finance cards he stole from the cars in St. George several times. At one of the St. George businesses where Warner used a stolen card, employees of the business were suspicious, so they followed him out to his car and took a photo of it, according to the probable cause statement. Using a warrant, police were able to track Warner’s location through his cell phone. The phone’s location was in Mesquite, Nevada, for several days before returning to St. George on Friday, when police arrested Warner at a Dairy Queen restaurant on Dixie Drive. The stolen Saturn sedan was found abandoned in St. George. According to the probable cause statement, Warner admitted in an interview with investigators to driving the stolen vehicle and stealing the finance cards from vehicles in St. George. 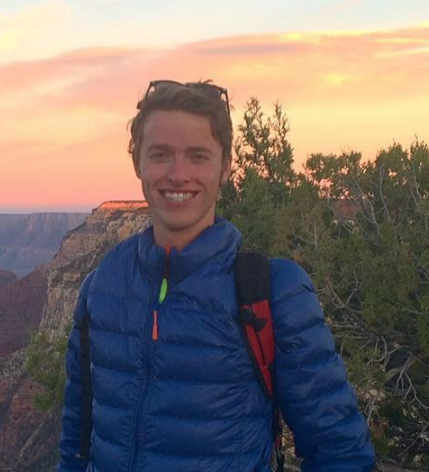 “He claimed he paid $40 to rent it from a friend in Las Vegas… (Warner) said he had abandoned the vehicle in St. George because he thought it was stolen and was afraid he would be caught in it,” the arresting officer wrote on the probable cause statement. When he was arrested, Warner also had warrants issued by the 5th District Court in St. George in 2016 for sexual battery and theft of a rental vehicle. Warner was charged with felony charges for theft and using finance cards without consent, as well as misdemeanor charges for theft and burglary of a vehicle. The female suspect who was with Warner has not yet been arrested as of Monday, St. George Police Captain Mike Giles told St. George News. 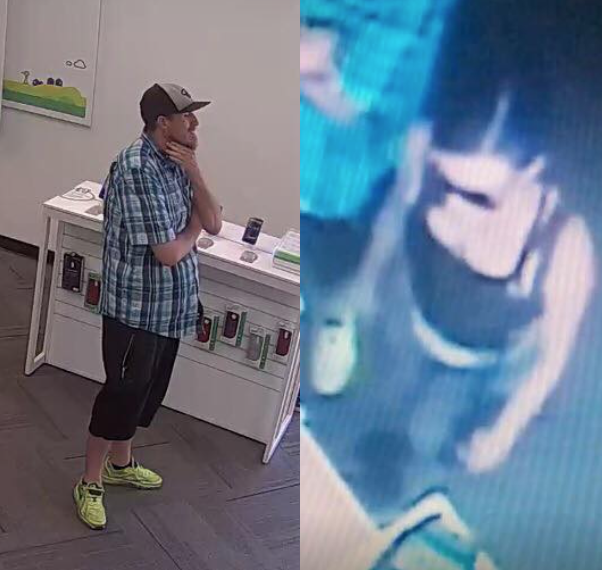 Anyone with information on the pair or any crimes they may have committed is asked to to call St. George Police at 435-627-4300. Thanks very much to our Washington County law enforcement personnel who do an outstanding job day after day! This dangerous felon, his female accomplise (if and when she’s caught), and countless other convicted law breakers, seem to be given the lightest punishment possible in this county! Learn for yourself what I’m talking about. The judicial system in Washington County is pathetic!!! I agree. It’s got to be frustrating to the police as well. Way to often do we hear the words repeat offender. Good catch, officers! One down, one to go! This was great police work, and removed a threat to the community. The employees that caught on and provided the photo of his vehicle also did very well. The sad thing is that if he put as much effort into honest employment as he did his criminal efforts, he’d most likely be making good money and wouldn’t be in jail right now. While we have only two photographs to go on, this perp shows he knows how to dress like a real CLOWN. Yes it is sad these hard criminals get released, however it’s due to over crowding and they’re trying to rehabilitate them on other avenues. Sometimes it takes a village to help people get back on the right path. What would Jesus do? The answer isn’t slapping dangerous criminals on the wrist and releasing them back into an innocent society with minimal punishment (if any) for their crimes! Sending criminals back on the streets to commit more and more crimes isn’t a popular solution either, but that’s exactly what the judicial system in Washington County is doing on a regular basis!